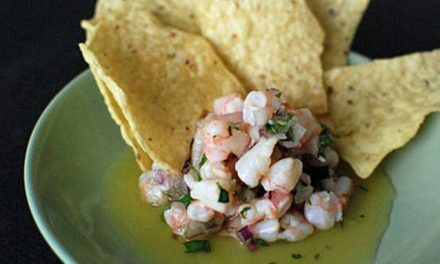 This Sriracha Ceviche is more like a Mexican Seafood Cocktail than a traditional ceviche. 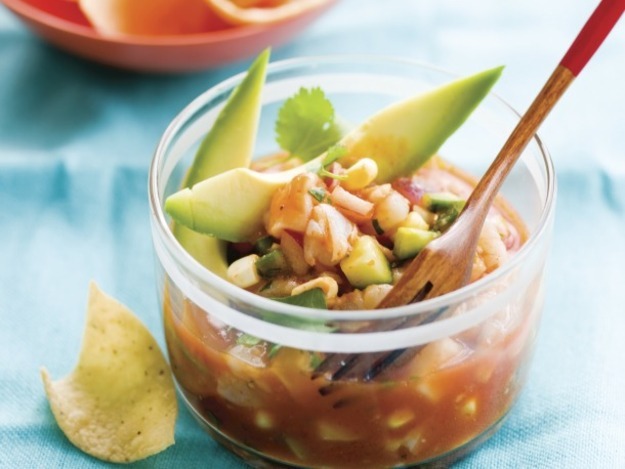 While a traditional ceviche relies on a pretty straightforward citrus marinade, this one begins with a sweet-spicy-sour combo of Sriracha with orange and lime juices which “cooks” the bite-sized seafood chunks. I used equal parts shrimp, bay scallops, and tilapia but tuna and kampachi would be really nice as well. 1.In a large skillet, combine the salsa and beans and bring to a simmer. 2.Make 4 wells in the bean mixture. Crack each egg into a small bowl and slide it gently into a well. Season with ½ teaspoon salt and ¼ teaspoon pepper. 3.Cook, covered, over medium heat, 3 to 5 minutes for slightly runny yolks. 4.Sprinkle with the scallions and cilantro. 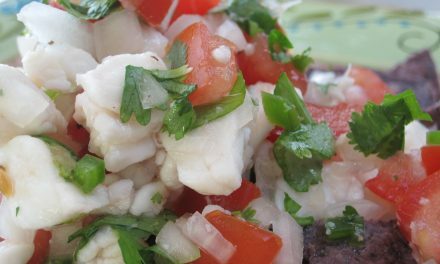 Divide among plates and serve with the tortillas and sour cream.